Have you ever wondered what has happened to the Rapture of the Church? I certainly have, and I have also questioned whether Christians today even believe that Jesus is coming back at all. For most of my life, the message of Jesus Christ coming for His church was alive and well. I remember on Easter Sunday morning in 1973 when our church choir sang the popular Gaither song, The King Is Coming. Only the choir knew that a skilled trumpeter was strategically perched in the balcony, and at just the right moment he would blow the trumpet. It was a stirring event to say the least! Then there was that perfect red heifer born in the mid-80’s that confirmed the Jews would soon be offering sacrifices in the Temple. And who didn’t read the best-selling Left Behind series by Tim LaHaye and Jerry B. Jenkins? First published in 1995, the intensity of the message was clear: Jesus is coming soon, and if you’re not ready, you will be left behind! For decades stories circulated through the church attempting to tie current events to the coming of Christ. Things like a government assigned number could eventually become the mark of the beast. This caused many to be leery of social security numbers, direct deposits and credit cards—basically anything that had a number. Another story was the increasing population of vultures in the Middle East that was surely a sign of the approaching Battle of Armageddon. On and on they went—one unnerving story after another. For years I struggled with too little faith to believe that Jesus would save me, so preaching on the rapture was a frightening thing. However, when I was born again at age twenty-three, my fear of the rapture subsided. My faith had grown and I was able to believe that Jesus would do what He said: “For whosoever shall call on the name of the Lord, shall be saved.”1 It’s been a love affair with my Savior ever since, and I began looking forward to His coming. Has non-stop media coverage of world events numbed us from the realness of what we once believed? Have too many books been written suggesting the rapture isn’t Biblical after all? Could it be that modern-day preachers no longer expect Jesus to return and thus do not preach it? Has the long delay nullified Jesus’ words, or maybe the Lord has forgotten His promise? Not. Even. Remotely! Jesus gave us a clue about the timing of His coming: “Now learn this parable from the fig tree: When its branch has already become tender and puts forth leaves, you know that summer is near. So you also, when you see all these things, know that it is near—at the doors!”3 Did you see what I saw—at the doors? The next morning I wondered what might be the purpose of my strange dream. Had I been given a brief preview of that amazing moment when the power of Holy Spirit will draw the Redeemed upward towards heaven? Could Jesus be giving us a heads-up of His soon return? Could it be that Jesus actually is—at the doors? Our annual Christmas Cantata includes the song We Need A Little Love. It challenges me. My first reaction is “Yes, we do need a little love”—but then something inside me screams: “Don’t we need a lot of love?” It seems there’s never been a time when there has been such a shortage of love. We see it in the lives of displaced refugees around the world; on the faces of starving children waiting in line for a cup of soup; and the homeless souls hiding in the shadows of our own cities. The need for love comes in all colors, sizes, and shapes—the shape of a broken heart, an empty heart, and even those we think are heartless. Yet every heart needs love. The question is whether or not their need for love can be filled by someone this Christmas. For me, let’s just say I prefer a Hallmark Christmas, and I bet you do too. After all, isn’t Christmas made of gingerbread cookies, dazzling lights, and storybook endings? I wish. But I’m afraid that is not the norm even though it may seem that all Christmases end well. I remember years ago when I was a young wife and mother, how I tried to make each Christmas the best Christmas ever—only to find myself with an empty heart and wallet when it was all over. You might remember that feeling as well. The let-down occurs when the holiday comes to a close, the hype is gone, and there’s only a mess to clean up. That’s what my heart’s dreaming of, we need a little love. Instead of thinking about how much love we need, perhaps we should focus on how much love we can give away. If we have even a small amount of God’s love, we can light up our world—this space around us that we call ours. We certainly have good tidings to share with others that Baby Jesus is the Savior of the whole world. And if we will let Him come into our broken and empty hearts, He will fill each one with His eternal peace. Who knows, maybe even the heartless will find some heart and turn to the Lover of their souls. Actually, I think that’s exactly what my heart is dreaming of. These simple gifts of Christmas—love, light, good tidings, and peace—are ours to receive and ours to give away. What more could we need? So the songwriters were right all along—we really do need only a little of God’s love! My Christmas prayer is that you and I will join with thousands of Christians around the world this year in giving the most lasting gift of all—a little love. Sheila nailed it right there in black ink on white pages. In her new book, It’s Okay Not to Be Okay, she gets it. She gets me—this crazy-perfectionist me; this not-quite-good-enough me; this grappling-with-anxiety me; and this wondering-if-God-is-Okay-with-me—ME! 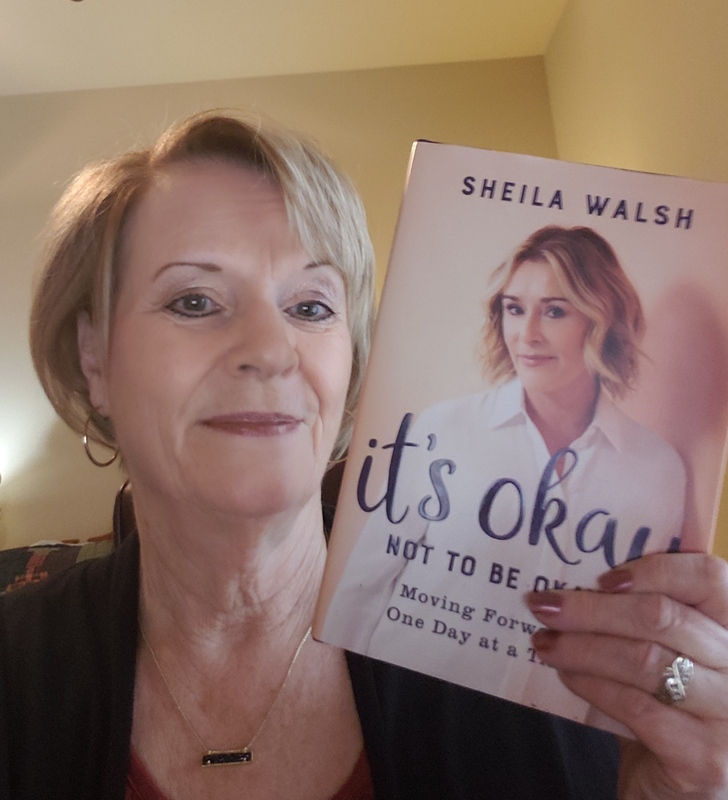 I recently participated on the launch team for Sheila Walsh’s latest book, It’s Okay Not to be Okay. I had preordered her book just like I have her other books. Within a few days I received an email that included a place to apply to be on the launch team. I did, and now I was all set for this new experience. I received a copy of the book within a few days—several weeks before its release date of October 2. The team was to start reading it, make comments, post pictures on social media, and when finished with it, write a review on Goodreads, Amazon, or wherever we preordered. And when the book I preordered arrives after the release date, I get to give it away to a friend! I have done all of those things, even the selfie with a picture of the book, which is totally out of my comfort zone. Did I mention that I hate selfies of me? As I read, I also underline, bracket, star, write notes in the margin, and circle page numbers—depending on how much the sentence or paragraph speaks to me—because I want to be able to find those special places again. The profound statements tucked within the pages of this amazing book are numerous and yes, quite profound! Honestly, there are now full pages that are underlined in my book, and many, many brackets, stars, and notes on almost every page. I can so easily say that I highly recommend this book to my friends and blog followers! I have loved every book I have ever read by Sheila Walsh, but this book blew me away. I even asked myself: Why does this book so clearly speak to Janie Kellogg? Beside the fact that it is well-written, insightful, and gut-level honest, this book speaks to me somewhere down-deep inside—you know, those places that we all keep hidden. Of course, being a blogger I strive to be transparent and share my discoveries, victories, and failures with you my readers, yet still there is that part of me that no one sees (well, except Jesus). There you go—now you know—this book will speak to a down-deep part of you too. As soon as I finished the book, I wanted to read it again! All quotes: Walsh, Sheila, It’s Okay Not to be Okay, Baker Books, Grand Rapids, MI, 2018, Pages 57, 61, 61-62, 68, 119, 140, 157, 166. On Sunday the Pastor used two really big words: transcendent and immanent. I thought I knew their meanings, but then decided a little research might help me better understand these terms as attributes of God. Transcendent describes God as being divine, heavenly, supernatural and otherworldly, while immanent defines Him as existing in and extending into all parts of the created universe—inherent within something. Still confused? I am. Here is an illustration might help us get it. I remember watching a Sesame Street program years ago that attempted to teach my young grandson the difference between the words far and near. I expect that many of you can picture it as well: one shaggy character moves several feet away from another shaggy character, and in a deep, gruff voice pronounces the word “far.” Next, he comes right up close to his friend and pronounces the word “near.” He repeats this amusing activity over and over: “Far—near; far—near,” until he is out of breath. In very real terms, it is a picture of what God has done for us. Once He was far away from us; in fact, the Bible tells us that we were alienated from Him. But then things changed! This magnificent, divine, all-powerful God did the unthinkable—He came into our world as one of us! In other words, He came close to where we are and is no longer other-worldly. Through His Son, Jesus, He has come very near—even so close as to live within our hearts. 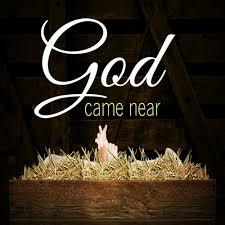 Although He was far away at one time—now He is near. It’s still an amazing thing to me that God, the Creator of the Universe, would love me that much—to send His only Son into this sin-infested world to find me! I think that I may never get over such an unimaginable fact, and I hope I don’t. I pray this mind-boggling truth never become commonplace—for it took me a long time to believe that God did it for me. Have you ever had this amazing life-altering experience that moves us from being far away from God to being very near to Him? If not, invite Him right now to come near to you. He is longing…looking…and waiting…for you to ask. The words of Charles Krauthammer—the popular journalist and Pulitzer Prize winner—grabbed me and won’t let go. I hope they grab you too. Am I living the life I intend? Are you? A few mornings ago I walked outside with my husband as he was leaving. 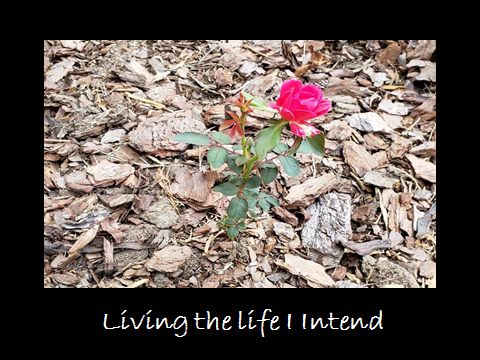 He pointed out something in my flowerbed that I had not seen—a miniature rose bush with one tiny rose in full bloom. How had I missed seeing it before? Or better yet, how had I not trampled it down while watering the shrubs nearby? I was actually surprised to see it growing there, since I had pulled up a rose bush from that very spot last fall. The full-grown bush had outgrown the space, and the pesky twig girdlers had all but stripped it of any branches. I decided it had to go, and there would be no more rose bushes in this bed. Yet, there it was—this perfect sampling of a rose bush that had overcome the odds—including a gardener who wanted it gone, a fresh layer of pine bark piled high, and zero protection from big rubber boots. 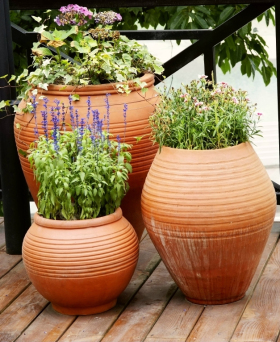 It certainly had received no special care or prime growing conditions. Actually, it wasn’t wanted at all. Except, that is, by its Creator. The Creator creates rose bushes to grow, reach upward toward Him, and produce blooms that turn into beautiful roses. In fact, if this tiny specimen of a rose bush never amounts to anything else, today it is living the life that it was intended to live—and bringing a smile to the face of its Creator. And that’s all that is required of it. Oh dear readers, can we grasp that the life God intends for us to live is really all that matters? Our broken world has a warped definition for greatness. It tells us we have to strive for big dreams and lucrative careers. Perhaps that’s why we struggle to find our place—for the one we’re in now just doesn’t seem great enough. 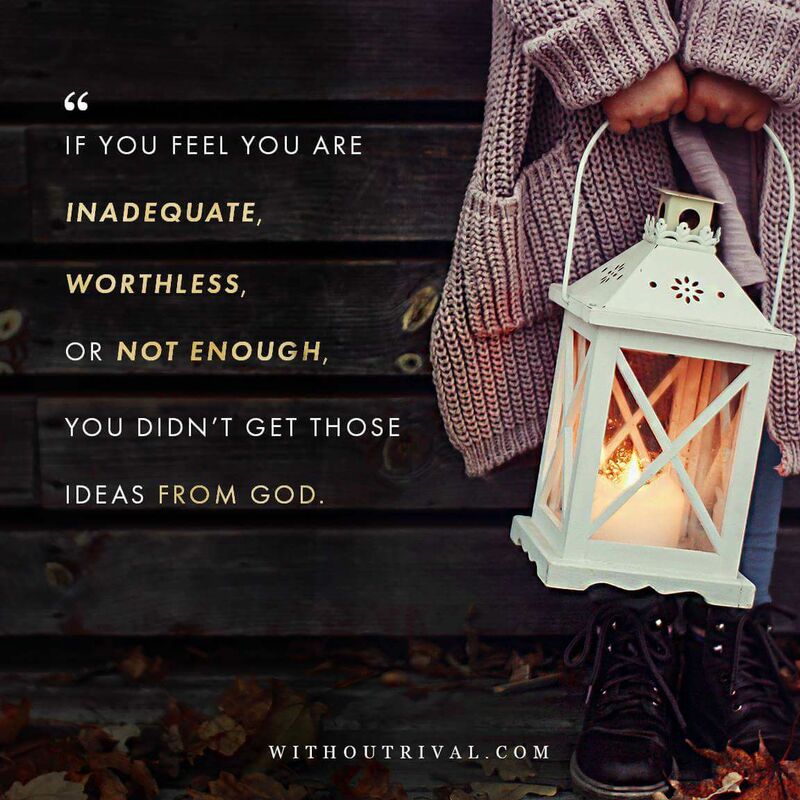 We are often insecure about our not-so-great gifts, talents, callings, and we’re left to think that surely we were meant to be more, do more, and excel more. Yet, our Creator God doesn’t ask us to be great in the world’s eyes—but in His eyes—doing what He created us to do. Our Heavenly Father simply asks us to be what He created us to be. Then He offers to guide our desires and talent toward the place where He needs us to go, and asks only that we trust Him to guide us correctly. When we do find our place, we can put down roots, begin to grow, reach upward toward Him, and bloom—right there. As a child of God, my intentions must be aligned with what God wants from me—a life that brings a smile to His face. That could mean I need to turn loose of some dreams of my own making; or some goals that are unrealistic; or perhaps some visions of grandeur that others have had for me. Jesus said, “For I always do those things that please Him.” And that should be enough for us, too. It might even relieve some stress from our lives. I’m not sure of the exact time, but somewhere around half-past midnight the Lord spoke to me. He entered my swirling, crowded mind and said words I longed to hear. So many other nights I had struggled with the same dilemma, but this night was different. Isn’t God always waiting to enter our world, yet it can only happen when we allow Him to. 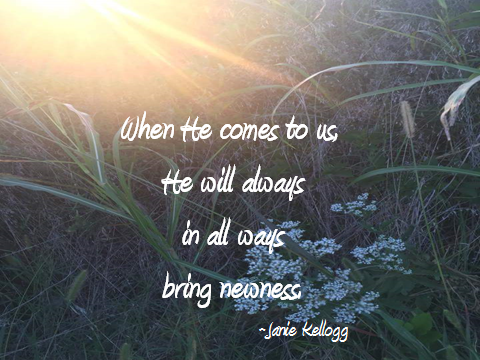 When He comes to us, He will always in all ways bring newness. Newness is challenging to most of us. Actually, we prefer to hang on to what we think we know—the way we’ve always thought and always done. The mindset that we can’t change anything holds us captive and inaccessible to that newness the Holy One longs to bring to us. The very newness we need is indeed being held back by the oldness. Why is it that we love the old so much? Clearly the old keeps us from the new. It presses hard against our minds in order to push out new ideas, fresh thoughts, or different patterns so that WE WILL STAY WHERE WE ARE. I seriously wonder how I will ever be able to see it with looking so much at what is here standing in my way. Can’t there be a compromise? Surely there can be part old and part new. How can I move into that which is new for me unless I keep some small hold on what is—well, more comfortable? Can’t I take baby-steps while still grasping my steady past? His gentle voice assures me that I can do this thing—this newness—if I will take His hand and let Him lead me to higher ground, a broader place. “It may not be familiar now, but it will be later,” I hear the still small voice speak. Abraham went without knowing where he was going! Really? That shoe could fit here—the not knowing part. God knows I have such a need to know. And what if this new place feels shaky, like Jello under my feet; or life-threatening like the waves that overcame Peter; or painful like the risky road of the Apostle Paul? There’s just nothing in the world that compares to laying my head down on my pillow, falling fast asleep with heavenly peace encircling my heart, and waking in the morning to the newness of God fully alive in me.